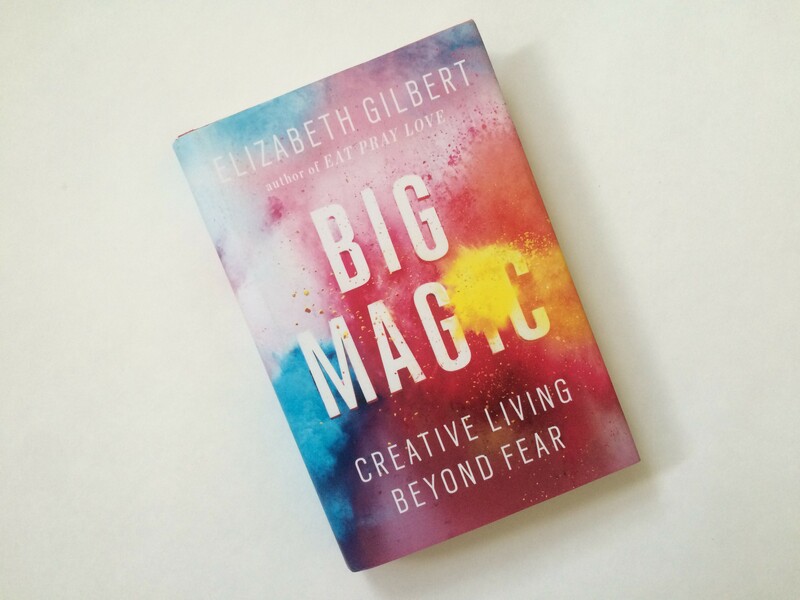 I just finished reading “Big Magic : Creative Living Beyond Fear” by Elizabeth Gilbert for my book club. 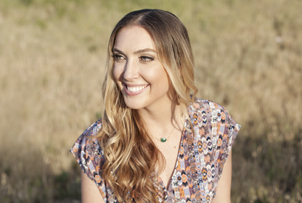 I’ve been a fan of Gilbert’s work ever since I read “Eat, Pray, Love”- a book that people either seem to love or hate. I personally loved it. I remember devouring it in a few short days and being consumed with her journey. Considering I am also a travel nut I enjoyed reading about Italy, India & Indonesia. That book planted a seed in me to one day visit Bali and the famous medicine man Ketut, who she receives a reading when in Bali and I did both last year on our honeymoon. I was feeling very connected to the lovely Elizabeth Gilbert in that moment! “Big Magic” is a guide of sorts on how to live a creative life. That doesn’t mean just writing (although Elizabeth does talk a lot about writing because it happens to be her creative passion) but encompasses something larger: instead exploring any activity that takes you out of yourself and opens you to the experience of wonder and joy. This could mean weaving, drawing, dancing, it could mean running a farm, tap dancing, learning a new lanugaue…the options are endless! I have been seeking inspiration recently so this book spoke to me. It made me think about the times in my life that I have been most fulfilled and it is most definitely when I feel creatively alive. 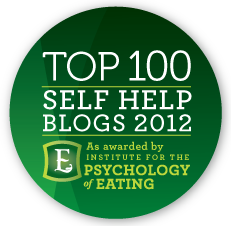 I think back to when I started this blog- I was in a funk at the time and instinctively knew that to break free from its hold, I had to create, write, explore & learn. I had to get back in touch with the part of myself that comes alive when I am living a creative and inspired existence. That year I learned how to cook, I learned how to tango, I drove across the country taking photos and writing. All these activities brought me such profound joy and isn’t that the point of living? Why don’t we give our creative pursuits more energy? This book reminded me that it’s ok to spend an afternoon painting for no other reason than it feels good and makes you happy…and that is a life worth living in my opinion. It is a fine thing to follow your fancy, any given afternoon. Eat, paint, pray, love. I, too, am a huge fan of Elizabeth Gilbert’s. HUGE. A visit to Bali and to Ketut are on my bucket list, and something that I know that I want/need for my soul. Reading Eat, Pray, Love in 2007 was quite the perfect timing and it paralleled my life so very much. Divorce. Dropping it all. Going abroad. Discovering my self again. All things I was in the midst of doing at that time. The book, and that time in my life, hold a very special place in my heart. This is on my list to read! I have mixed feelings about ‘Eat, Pray, Love’ – I think my biggest qualm was that the author, in my opinion, was very selfish to want to find herself after she had already committed to the covenant of marriage with someone. I feel like the vows she took make it hard to justify wanting to ‘find’ oneself, alone. Granted, I’m sure there was more to it than this; however, I feel like Gilbert just gave up on her marriage in search of her own identity. I love her! I don’t have time to read the book right now but I have been listening to the Big Magic podcast and really enjoyed it. You are my go-to for discovering new books to read. I started reading a sample of the book online and the first quote I really like is “The universe buries strange jewels deep within us all, and then stands back to see if we can find them”. A trip to the book store is now in order. Silly question but what do you do with all the books you purchase? It would seem as much as your read you would have no room left in your home. I’ve read some books on my tablet but nothing beats a physical book in your hands. I couldn’t agree more…nothing beats a physical book! Although, this past year I have tried to read more books on my kindle to save money and space. With my physical books I tend to keep the ones I absolutely loved in our bookshelf and pass the others along 🙂 Happy New Year sweets! !